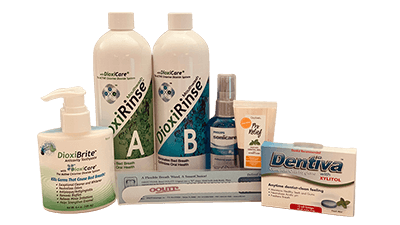 Halitosis products, Bad breath treatment, bad breath halitosis, chlorine dioxide, mouth rinse, Hydro Floss, Grossan Hydro-pulse. 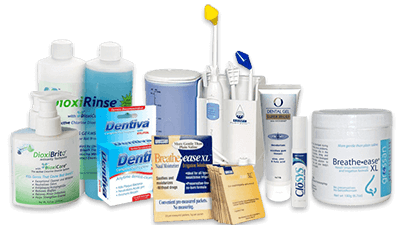 We do not recommend using products that claim to kill all of the oral bacteria. 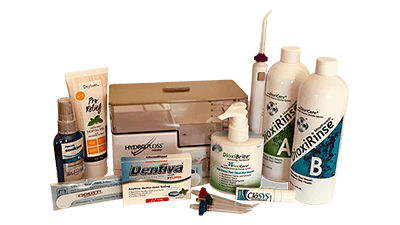 Instead we use products and medications that will alter the oral environment such that the halitosis causing bacteria will be dramatically reduced, thus eliminating a halitosis condition in a very short period of time. By treating the problem in this manner we return the levels of oral bacteria to normal and healthy levels. We do not recommend using bactericidal products because it is not prudent to use products that kill the bacteria due to the fact they will kill the good with the bad bacteria. This can result in the potential for serious oral problems. Some products being recommended by others claim to kill bacteria, and for numerous reasons we have found these to be unsafe and lacking in effectiveness. Because we have found bad breath or halitosis to always have multiple causes to it we have found that it is important to use a combination of different things to effectively treat the problem. 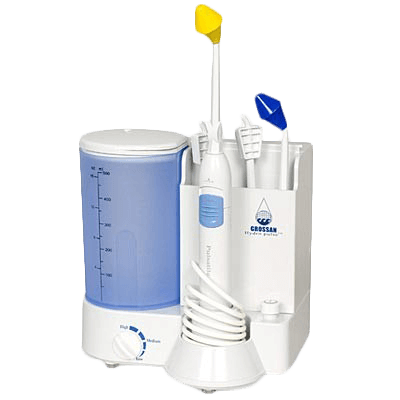 Besides the medicated products we have on our web site we also recommend the Hydro Floss oral irrigator and the special sulcus tips because it will help reduce bacterial levels in the oral cavity by almost 50% by preventing the adherence of bacteria to the oral structures. This device is also very effective in the prevention and treatment of gum or periodontal disease. There is extensive information about the Hydro Floss machine on our web site if you wish to read more about it. If you experience a lot of post nasal drainage or mucous drainage on the back of your throat then this is likely a contributing factor to your halitosis condition and should be reduced. The best way we have found to reduce this drainage and also improve any allergy conditions is to use the Hydro-Pulse sinus irrigator and the Breath-Ease XL saline powder. This device will flush the allergens and pollutants from the sinuses that are usually the source of the drainage, thereby reducing the post nasal drainage and build up of mucous on the tongue. All of this is done without introducing medications into your body such as the corticosteroids nasal sprays that are so commonly used today. Another device we recommend as part of our treatment is the Sonicare FlexCare Platinum Series 8 Because of its ultrasonic technology we have found the Sonicare FlexCare Platinum Series 8 to be the most effective type of toothbrush for removing bacteria from the surface of the tongue. 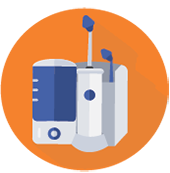 Its ultrasonic technology has the ability to dislodge the halitosis causing bacteria that typically remain deep within the taste buds themselves. In fact the sonic action of the Sonicare FlexCare Platinum Series 8 will dislodge bacteria up to 3mm in advance of the actual physical bristles themselves. This same technology is used to clean medical and dental instruments prior to the sterilization process. Over the years in our clinic we have found that close to 90% of the patients suffering from halitosis have had longer than average taste buds. This means they are trapping a lot of bacteria, debris, and mucous deep within the taste buds of the tongue. It is very important that one effectively remove these substances from the crevices of the tongue in order to resolve their bad breath condition. By using the Sonicare FlexCare Platinum Series 8 on the tongue one can dislodge the halitosis causing bacteria much more effectively, and it is for this reason we highly recommend the Sonicare FlexCare Platinum Series 8 to all patients, especially for those suffering from halitosis or bad breath.